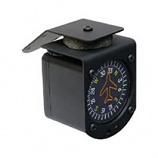 RC Allen Electric Attitude Indicator RCA26BK-12. 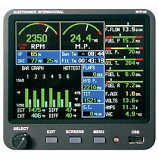 The RCA26 Series electric attitude indicator employs an electrically driven rotor to sense movement in the roll and pitch axis and transmits the information to the pilot through a pictorial presentation. All units have a pull cage knob and a power failure flag.